The TodiCastle also Capecchio is a castle located c. 15 km south of the town of Todi, on a hilltop to the east side of a town called Collelungo, which is part of the Municipality of Baschi, near Terni, in Umbria, Italy. The Castle was recently recognized as Residenza d 'Epoca, belonging to the National Heritage. It is also part of the prestigious Italian Castle circuit Institute, an international organization under the auspices of the UNESCO. TodiCastle is one of the finest example of Italian architecture. The area of this estate spans to 45-acres. The castle was originally built in the year 1100 AD as a watch tower but later on evolved into a castle. The construction of the TodiCastle was entrusted to three architects namely Marcello Confetti, Giorgio Leoni and Vittorio Garatti. The Todi Castle is set on Umbrian hillside. Once used for war, it is now a peaceful and comfortable place with amazing views and excellent location and services for guests. 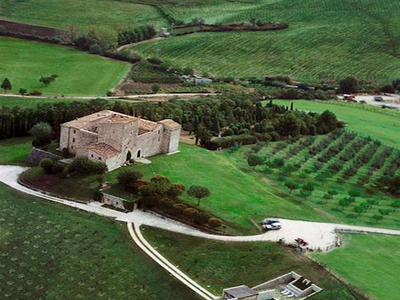 The Castle is a typical example of the 13th century fortresses that were built in the Todi Area. The same shape of building has also been built by the crusaders in the Middle East. A reference could be Castel del Monte, with its minimalistic style. The 12th century fortress has been completely restored, retaining its original character and a source of attraction for tourists and families who want to stay there. 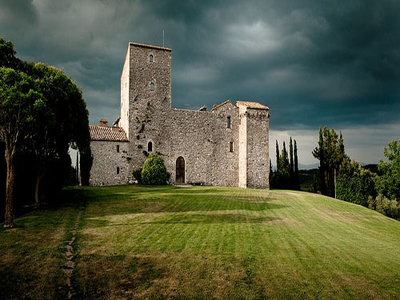 Here's the our members favorite photos of "Castles near Todi". Upload your photo of Todi Castle! So far only Raj Francis wants to visit Todi Castle. Do you want to visit Todi Castle Click here?